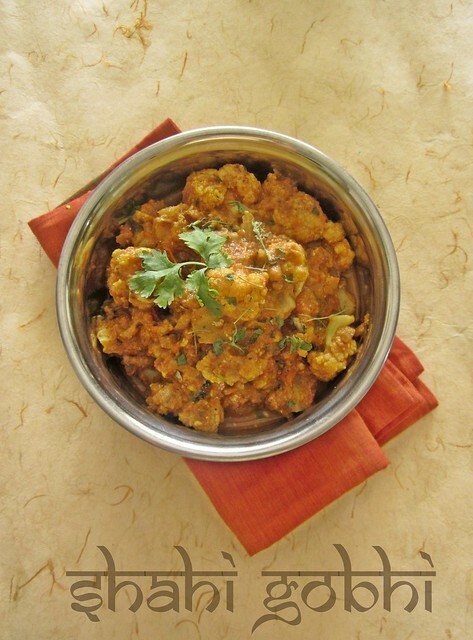 There are a few vegetables with which I usually do not play around.Cauliflower is one such.Mostly Manchurian or Kurma is made with Cauliflower and I once even tried making a Biryani out of it!So when I had a big Cauliflower peeping at me every time I opened the fridge,I decided to cook something with it after all.Many ideas popped up and then I made this. Shahi gravy is a quite popular one when it comes to North Indian curries.Thickened with either a nut-paste or cream,these gravies are nothing short of an indulgence.I've made a Paneer version before and worked around that recipe a bit to make this. I've chosen to shallow-fry the florets before adding to the gravy,you can deep fry or even boil it before adding to the gravy,choice is yours!Pairs well with rotis as well as a simple Jeera Pulao. In a pan mix together cauliflower florets,cornflour,salt and pepper to taste,ginger garlic paste and leave to marinate for 10 minutes. 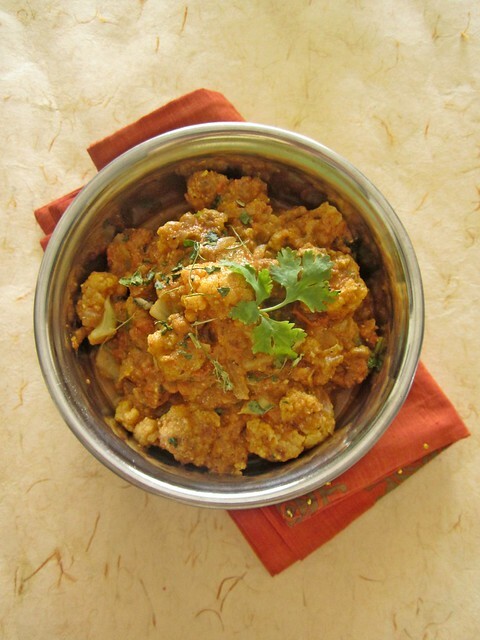 In a non stick kadai add oil and saute the marinated cauliflower for 5-10 minutes or till the florets are cooked,slightly brown in colour and wilted. 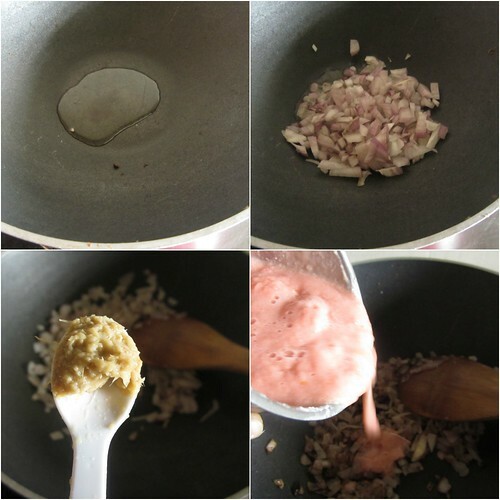 Mix together badam and milk and make a smooth puree. 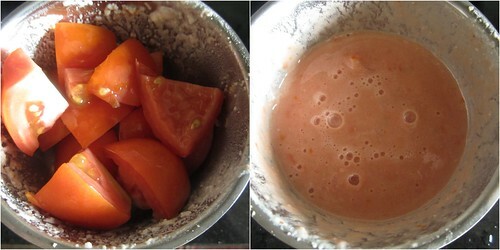 Puree the tomatoes too and keep aside. In the same kadai add oil and saute onions till golden brown.Mix in the ginger garlic paste and tomato puree and let it cook for 2-3 minutes. 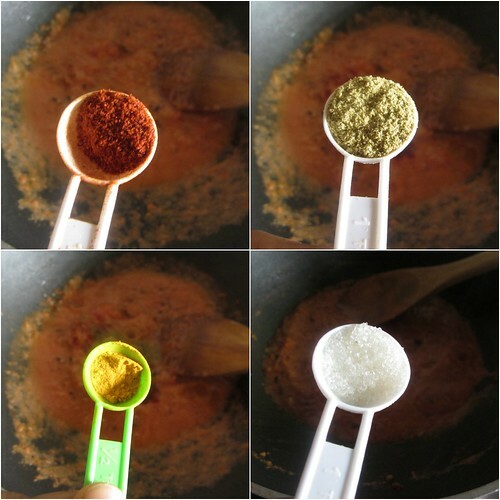 Now add the masala powders - red chilly,coriander,haldi and sugar and salt to taste. Add the badam paste and water and let it come to a boil. 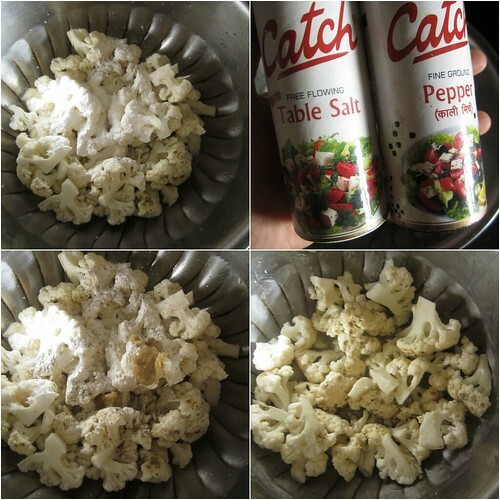 Mix in the shallow-fried cauliflower florets and let it cook for 5-7 minutes. Add garam masala,coriander leaves and lime juice. Such a delicious and awesome side dish.. looks amazing !! 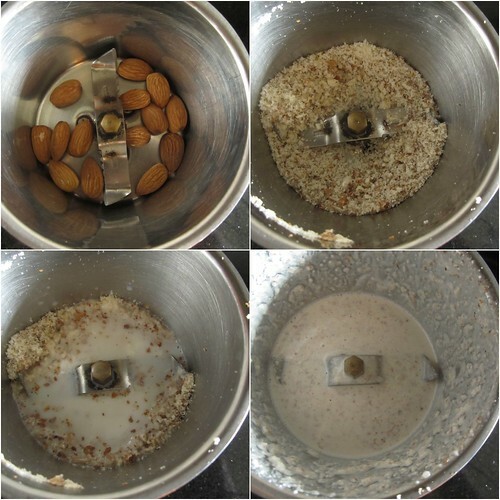 Very healthy and love your step by step photos too!